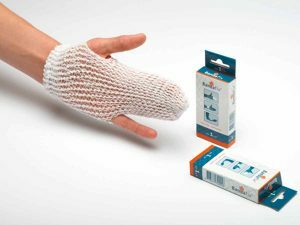 Bandaging is easy with Bandafix® on any part of the body. Bandages are quick to apply and always secure, even on the most difficult parts of the body. 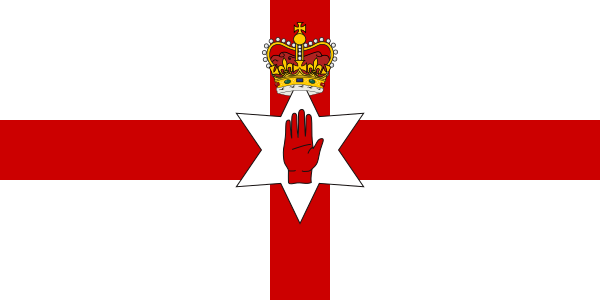 There is no need for plasters or other fastenings. 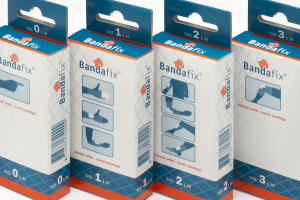 Wound inspection and compress changing are a simple matter when you use Bandafix®. Bandafix® has high elasticity. 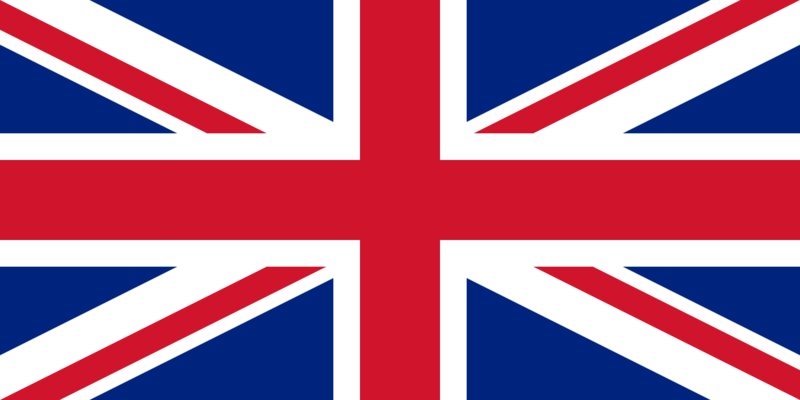 It stretches to 10 times its original width and twice its original length. Optimum ventilation is ensured by the wide-mesh structure. In Bandafix® all thread joins are knitted; so you can cut openings of any size you need without the risk of these becoming bigger. Bandafix® does not obstruct the circulation of blood and does not cause skin irritation. Due to the large mesh of Bandafix®, it does not restrict dermal respiration. Bandafix® does not deteriorate in the presence of blood, pus, urine or water. If desired, Bandafix® can be sterilized by means of gamma radiation, EtO or autoclave. Bandafix® saves time, saves material and makes life more comfortable, both for you and your patient. Optimum ventilation is ensured by the wide-mesh structure.